Statewide tambour cupboards are manufactured in Australia and have a lifetime warranty, meaning you can be assured of their quality, durability and after sales support. The tambour-style folding door cupboard enhances the layout of any office while being practical and versatile for storage and filing. The tambour door rolls back into the cupboard when opened, maximizing the space available for storage and eliminating the awkwardness of opening doors like a standard cupboard. 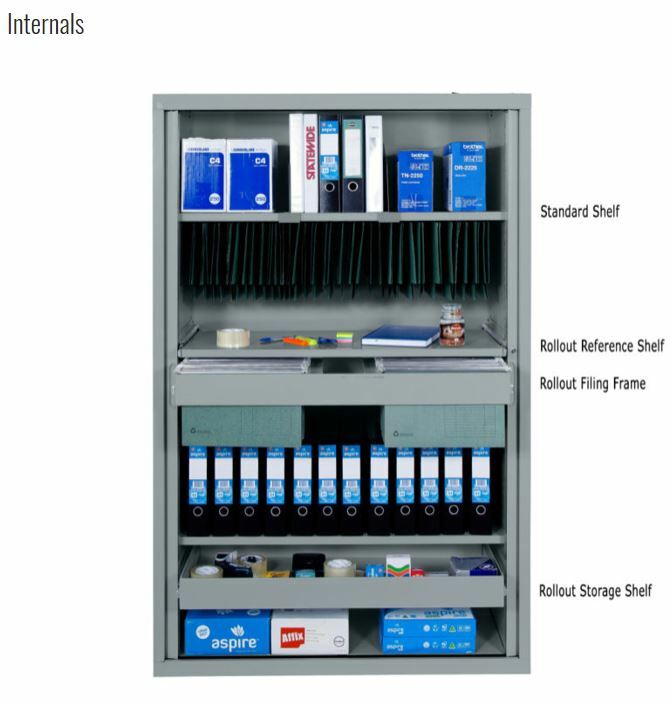 The below image shows the cupboard internals with the options mentioned above.